We would like to provide the following info since we continue to receive inquiries on our FB page about the Psychometrician Oath Taking for 2015. So we do not repeat ourselves, check these FAQ. 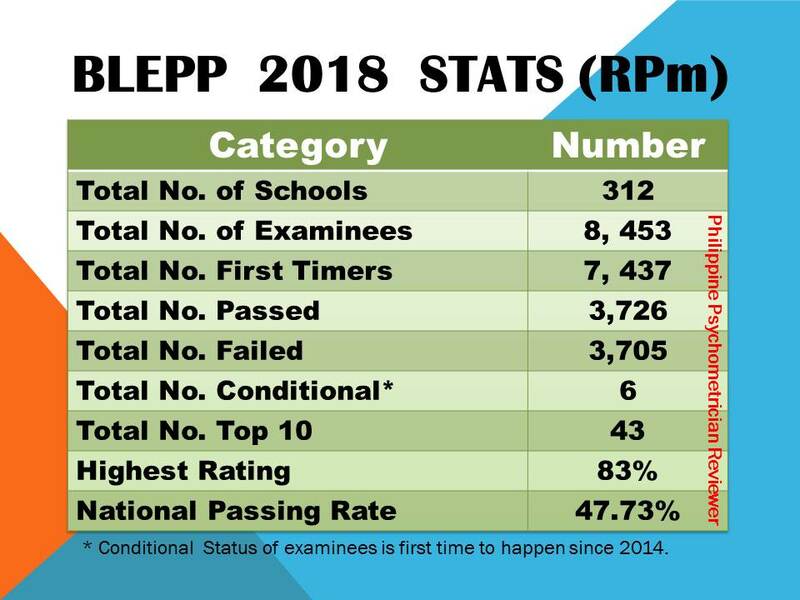 Information here is also based from our experience of the oath taking in 2014. 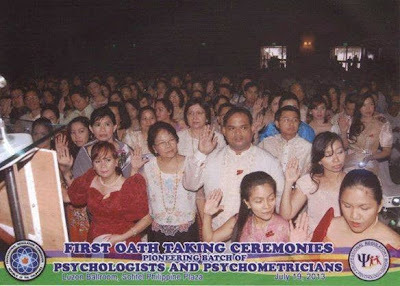 1) What is Psychometrician Oath taking? It is when you raise your right hand, follow after a lead/oath administrator, stating your name, do a solemn pronouncement to affirm the truth, pledge your commitment, vow to uphold or follow, adhere, subscribe to the principles, ethics, policy, laws, other legal and regulations in the practice of your profession as Psychometrician and observe with the presence of witness/es, most of the time family members, friends, relatives and the public. 2) Why do I have to take the oath? 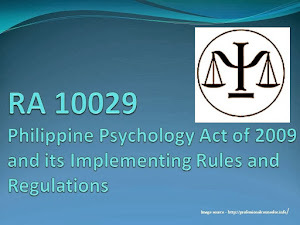 It is required by the law or RA 10029 known as the Philippine Psychology Act of 2009, Art. VI, REGISTRATION, Section 20. 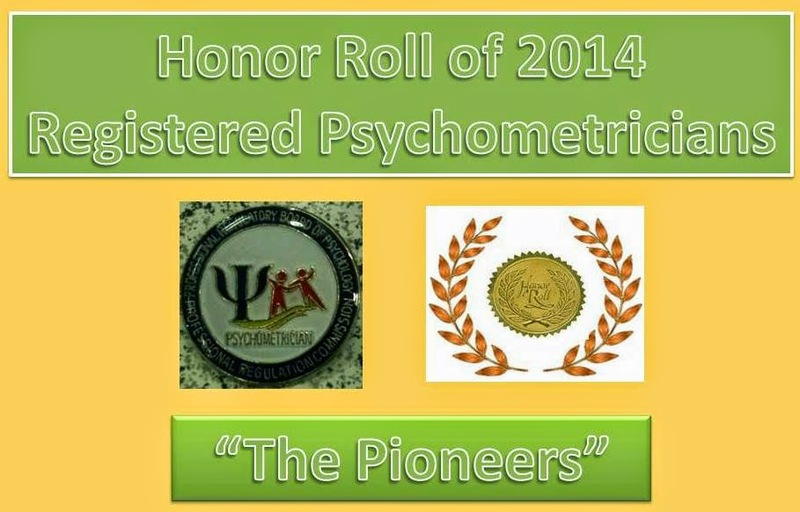 Oath of Psychologists and Psychometricians. 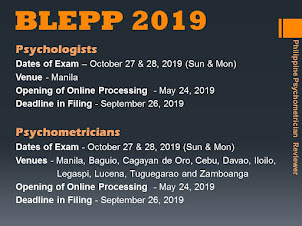 - All successful examines qualified for registration and all qualified applicants for registration without examination shall be required to take an oath to uphold the profession before any member of the Board or any officer of the Commission authorized to administer oaths, prior to entering into the practice of psychology or psychometrics in the Philippines. 3) When and where is the oath taking? 4) Where to get tickets? You need to bring your ID so you could be permitted to enter the building. 4) How much is the ticket? 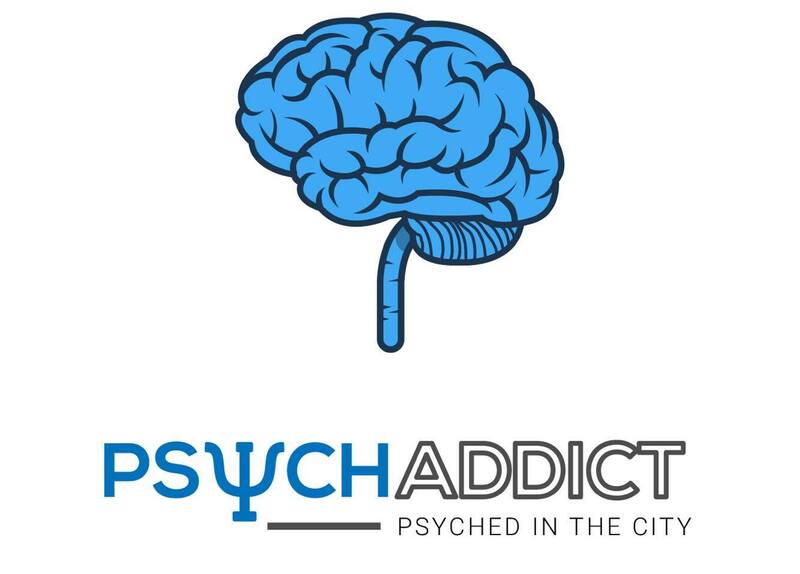 Early bird costs PhP 1,000.00 until September 1, 2015 only. Additional 200 pesos after the early-bird promo, and it might costs PhP 1,500 when purchased on the date of the oath taking. Oath taker pays the same price of ticket for guest/s and his/her own ticket (depending on the date when purchased). You have to pay for your own ticket and the guests you are bringing to defray costs of venue rental and snacks. Your ticket number ( assigned seat) most of the time corresponds to the guest ticket number so you can sit together with your guest/s. 5) Can I bring our clan to the oath taking? Passers/oath takers are entitled to bring guests. You can bring your parents as your guests. If you are bringing the whole clan be sure to pay for their tickets as well. Depending on the availability of tickets or the set quota by PRC/PAP then you can buy tickets as much funds you have. Also, if you do not have anyone (family, friends, relatives) to bring with you to the oath taking it is fine. You can attend the oath taking by yourself. For your guests (parents, friends, relatives) any decent clothes not necessarily your attire as oath taker. 7) Can I ask someone to purchase ticket for me and my family? Yes just provide authorization letter and ID to the person you will request to buy your ticket/s. 8) What will I do if I miss/not available on the date of the oath taking? By all means go to PRC and request a schedule to be given an oath. 9) Will I receive my license at the oath taking? 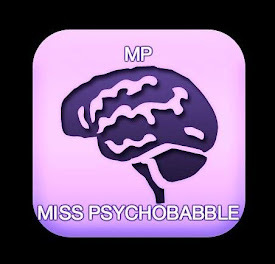 Yes, maybe. 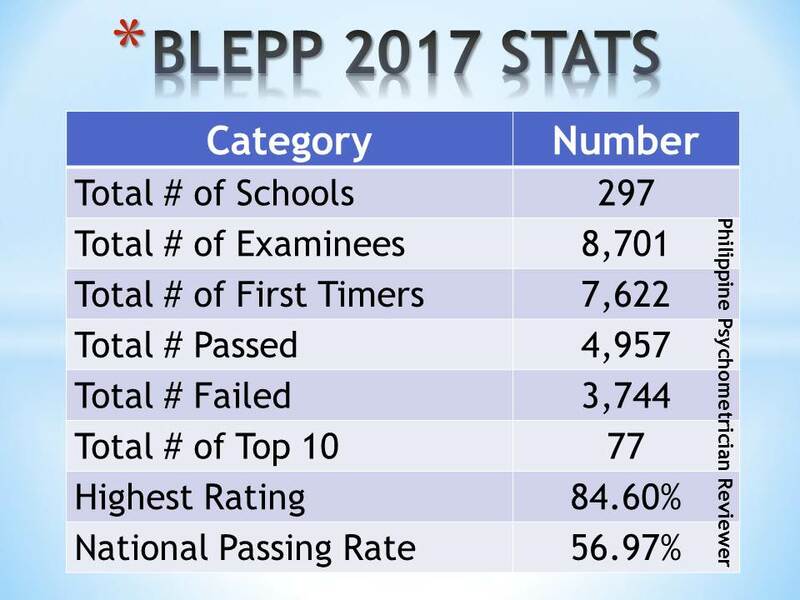 In last year's oath taking, license card and certificate were issued after the oath taking ceremonies. So ask your guest to fall in line ahead in your designated surname-letter alphabet at the registration area/entrance of the hall while just before the closing remarks/towards end of the program.